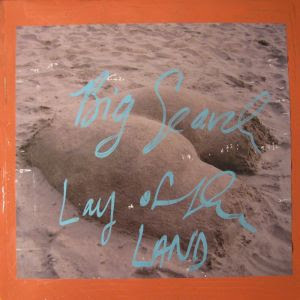 Both tracks are taken from Matt Popieluch (of Foreign Born, Fool’s Gold and Glaasser) aka Big Search‘s latest release “Lay Of The Land” album, out now on limited copies of vinyl and digital via St. Ives. He’s also known as a sideman of Cass McCombs. Matt Popieluch, frontman for Secrely Canadian artist Foreign Born, has been making music as Big Search since 1999. After making significant aesthetic breakthroughs in his dorm room at San Francisco State University, he embarked on a four-track recording spree that lasted the remainder of his collegiate experience, resulting in several 90-minute “albums” destined for the vacuum of obscurity. The first official Big Search album Mysticism vs. Classicism was recorded in Popeiluch’s garage in a house he shared with Luke Top (Fool’s Gold) and Jason Quever (Papercuts). This was the very same garage and time period in which Cass McCombs’ A and Papercuts’ Mocking Bird were recorded. In 2004, Popieluch formed Foreign Born with Lewis Pesacov (Fool’s Gold) and moved to Los Angeles, where he played his first true shows at Big Search and Mysticism vs. Classicism saw limited release on Luke Top’s short-lived label Grand Gallop. Hereupon, Lay of the Land began to take shape.